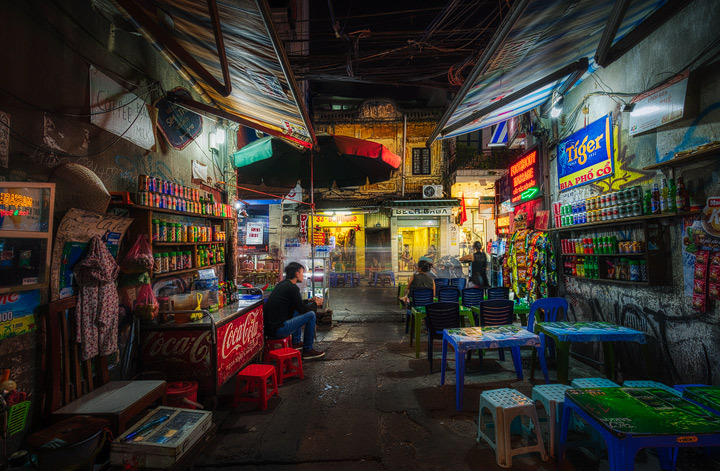 Today I want to take you with me into one of my favorite cities – Hanoi. I’ve now visited this city six times during my two visits to Vietnam. It’s always my stopover after travelling into the countryside of northern Vietnam. Although I stayed in Hanoi so many times now, I have never stayed more than two days in a row. Also, I spent all my time in and around Old Quarter. I think this is one of the main reasons why Hanoi always remains such a positive memory for me. Because Hanoi is loud, hectic, and it doesn’t necessarily smell good, after a few days this can become quite annoying. So by just staying there a few days each time, then travelling through the countryside before returning again, I can always enjoy Hanoi anew and the bustle of the city becomes something fascinating instead of an annoyance. There’s so much going on at every street corner. Exploring the city never gets boring, especially for me as a photographer. There’s an abundance of subjects, although not of what I typically photograph. So I had to accept the challenge and delve into street photography, which is quite different to landscape photography in many aspects. But both also share some common ground. Although street photography feels much more reactive and there is certainly no time for my usual landscape photography workflow, composition, light and subject matter play an equally important role in getting a good photograph. And even though street photography might seem a bit hectic from time to time, to achieve good results one has to slow down, be patient and just wait for the right moment to take a photo. Just as with landscape photography. And in the evening I even found a photo spot, where I could setup a tripod and take some longer exposures. This kind of street photography was right within my comfort zone again. Standing behind my tripod and carefully aligning all the elements within the frame is just my preferred way of taking photos. But it was also good to try something new. My attempts at street photography were a lot of fun and I like some of the photos I got. Below you find a little behind the scenes video of my endeavors, which also contains some more photos. 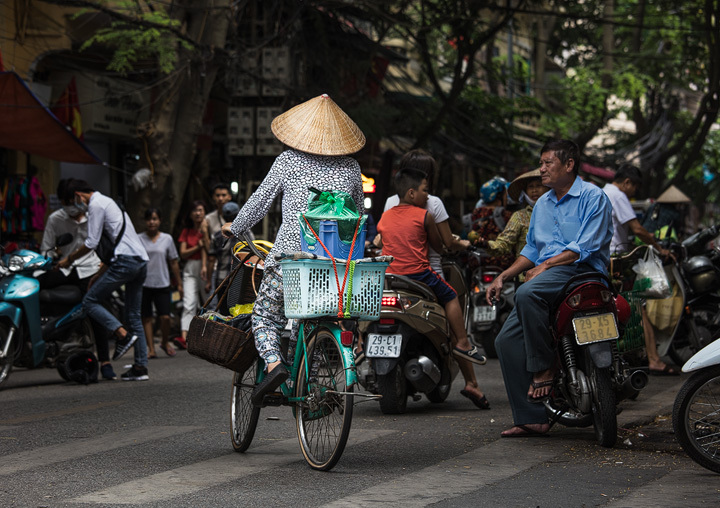 I want to share two final tips for a great stay in Hanoi with you. As I have already written above, I always stayed in Old Quarter. And a great time to visit Old Quarter is at the weekend. Because many streets will be closed for cars and exploring the area is much easier since you only have to look out for scooters. And as a second tip I want to share the hotel, in which I always stay, with you. It’s actually one of my favorite hotels in the whole world because of its great value for money, the great and friendly staff and its location. I’m talking about the Sunline hotel in Old Quarter. For me it’s the perfect base to explore the city.